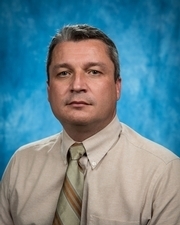 Dr. Radu Babiceanu joined Embry-Riddle Aeronautical University in August 2013 as an Associate Professor of Systems Engineering in the Department of Electrical, Computer, Software, and Systems Engineering. He also serves as the Associate Director for the Cybersecurity and Assured Systems Engineering (CyBASE) Center. Dr. Babiceanu received his Ph.D. degree in Industrial and Systems Engineering from Virginia Tech in 2005, specializing in modeling, design, and analysis of intelligent industrial systems. Dr. Babiceanu teaches systems engineering courses, such as System Architecture Design, System Quality Assurance, and System Safety and Certification, and also covers in classroom newer topics such as Industrial Internet of Things Modeling and Simulation. One of his teaching objectives is to familiarize students with systems thinking and systems engineering methods for solving real-world engineering problems. Dr. Babiceanu’s research provides a systems approach to design, development, and operation of large-scale cyber-physical systems, with focus on requirements such as system performance, safety, reliability, security, and resiliency. In his research, Dr. Babiceanu uses methodologies such as systems analysis, engineering optimization, discrete-event and continuous simulation, formal methods, network modeling, computational intelligence, and multi-agent systems.